AnandRathi Investment Banking over the years has evolved into a leading partner for Mid cap growth companies. It has acted as a house banker for some of the stellar growth stories in the Mid Market space. AnandRathi's team of nearly 30 bankers comes from various industry backgrounds with domain knowledge and has successfully executed some complex and novel transactions in the past. With group strengths in the Institutional space and a proven track record of handholding Mid Cap Companies the firm has built a formidable market credibility especially in the Consumer sectors and B2C companies. 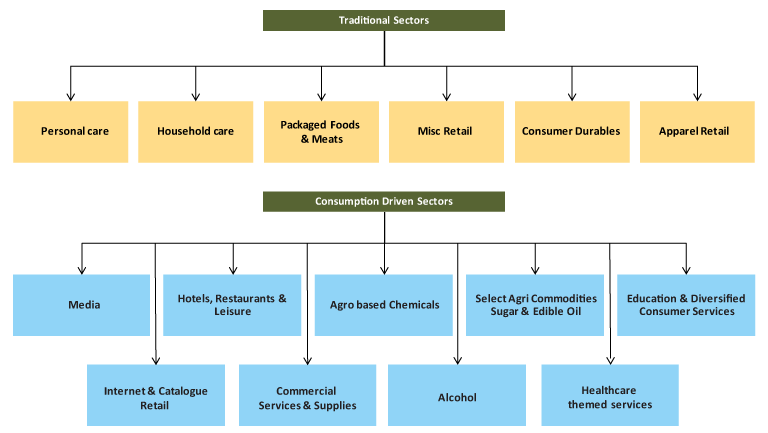 The team is focused Towards the Indian consumption story and equally supported by institutional research team which has made the team one of the most active in the consumer space. Traditionally AnandRathi has been focussed on five dedicated industry groups, each working closely with product specialists to achieve client objectives.